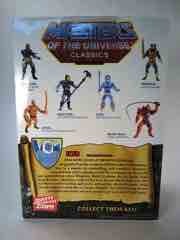 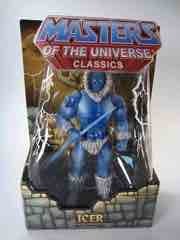 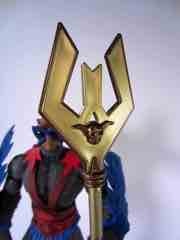 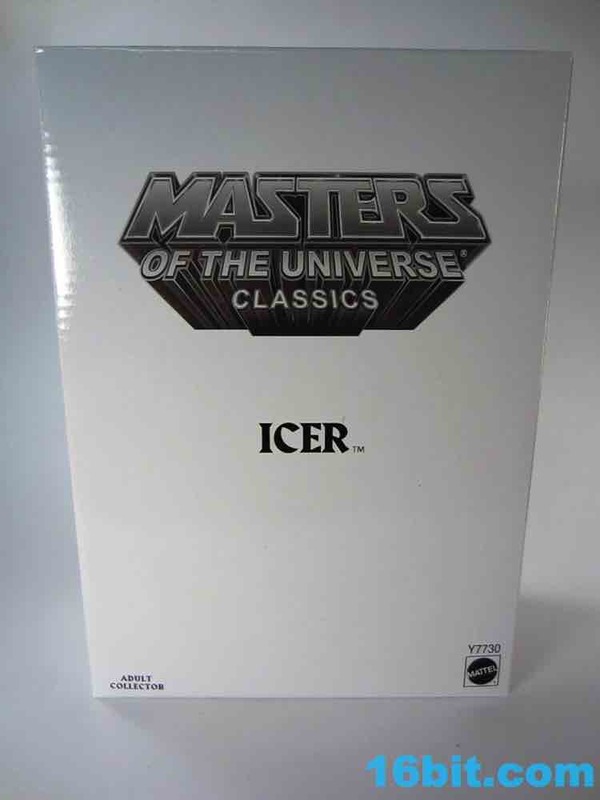 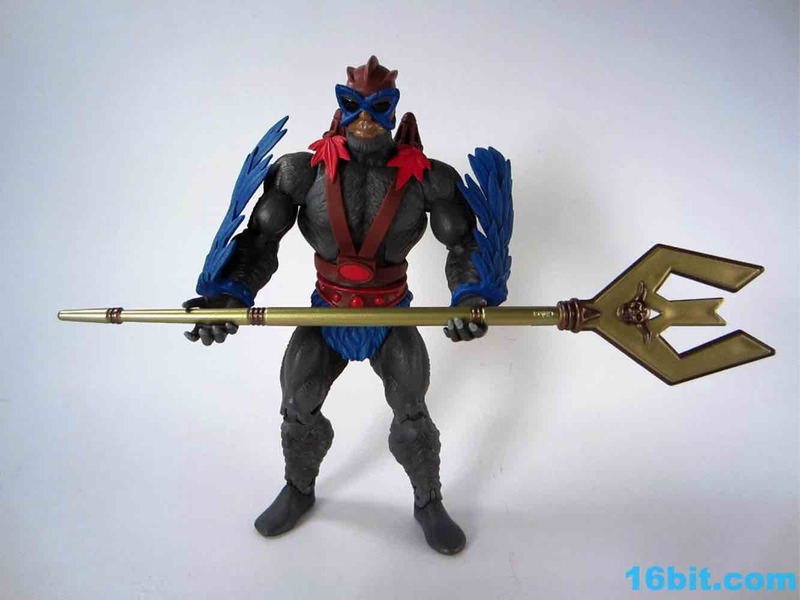 When Mattel started floating the idea of a special sub-Masters of the Universe Classics subscription, I doubt Icer was what fans were expecting. 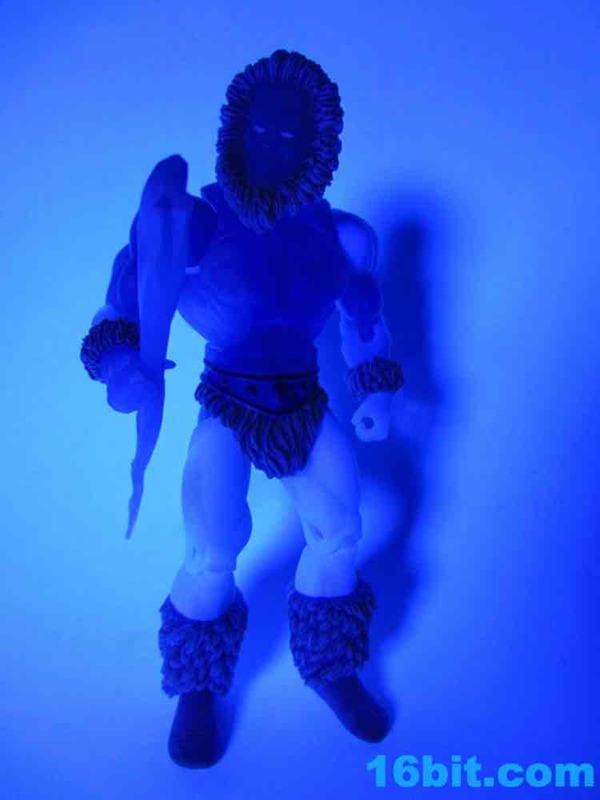 We've had few Filmation-based figures in the line so far (Eternos Palace Randor, Shadow Weaver, Octavia, Fang Man) and the results were consistently fun. 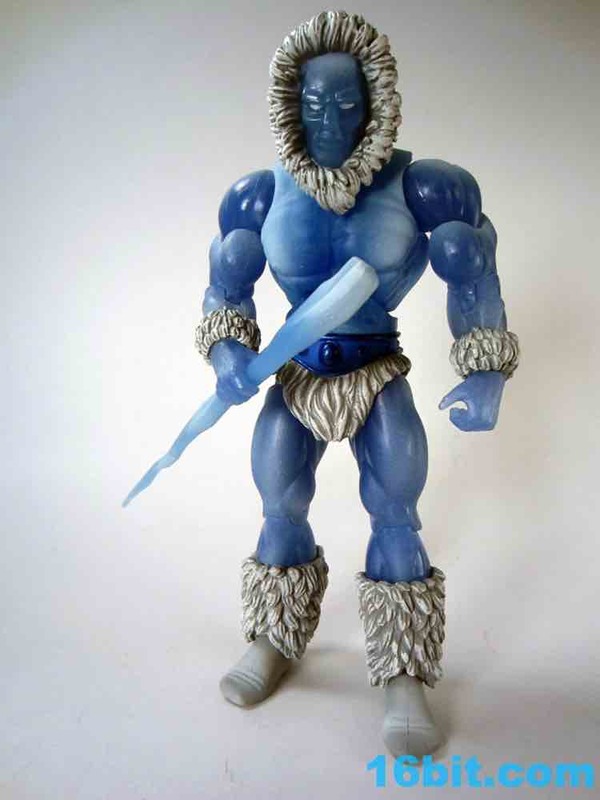 Icer is a well-executed figure, but like a few of these guys the question is as much "Why?" 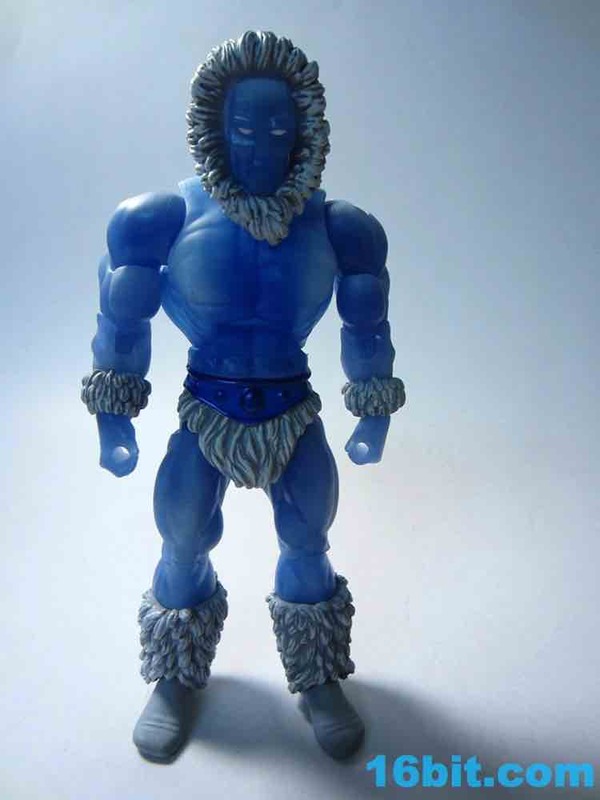 as "Why not?" 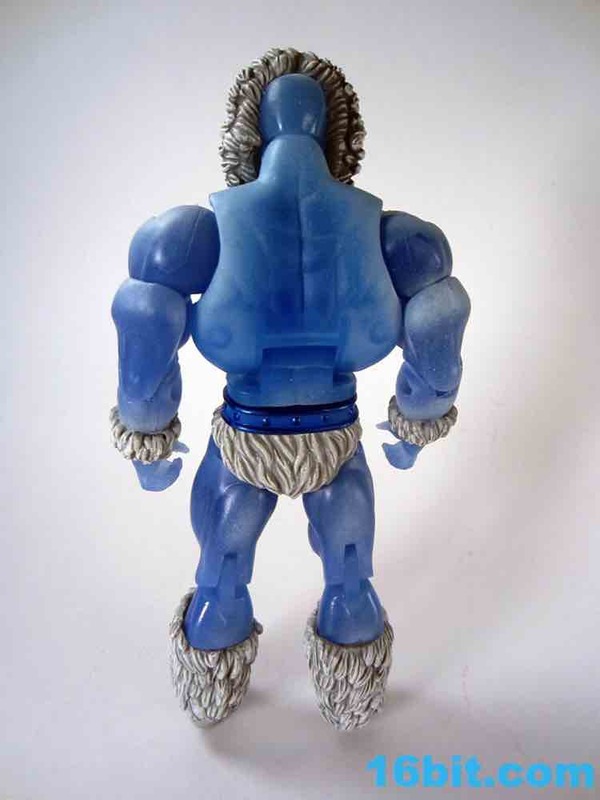 At about 7-inches tall, this figure brings little new to the table in terms of functionality - there are plenty of new parts in addition to the head, though. 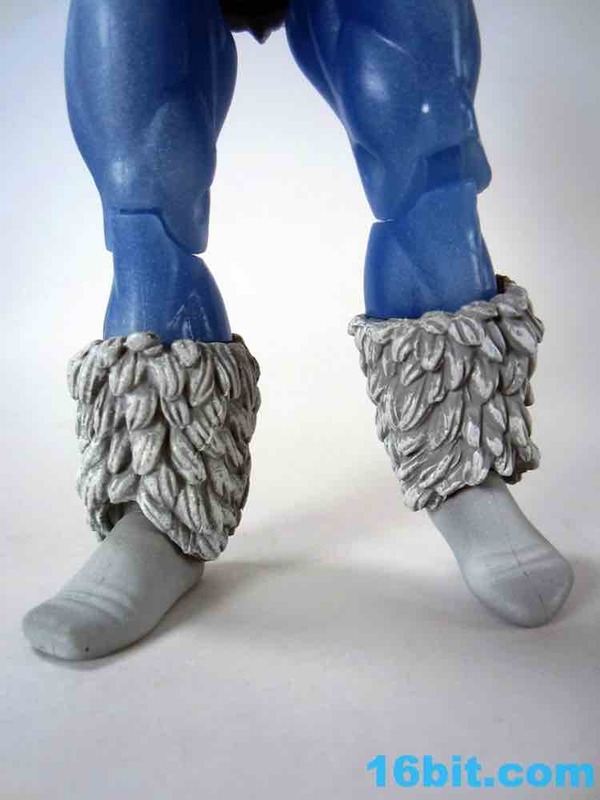 New wrists, boots, and shins help give the figure a very cold weather look, and the grey detailing in the furry sections is really, really good. 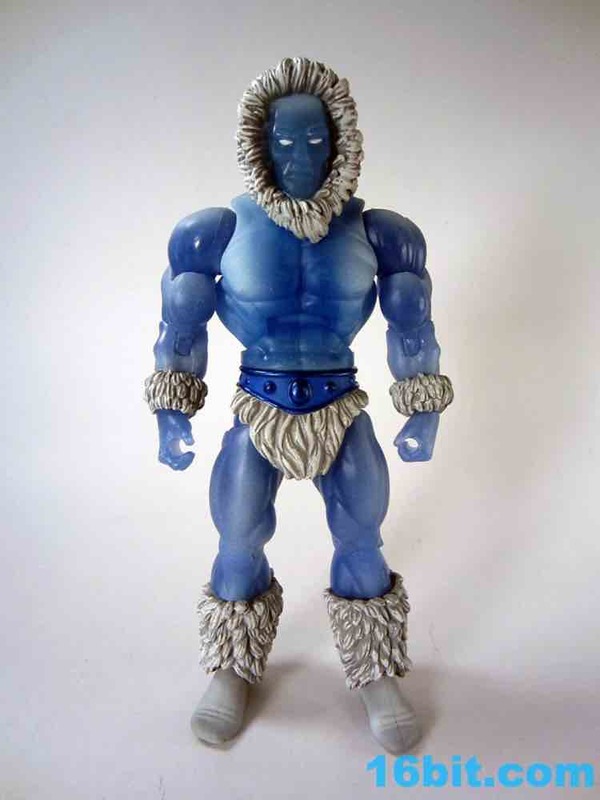 His body is cast in a blue plastic that's somewhat translucent, although in most scenarios you're unlikely to notice this. 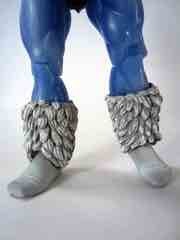 It does give the figure a subtle, ice-like quality which is augmented by some white detailing on his chest and limbs. 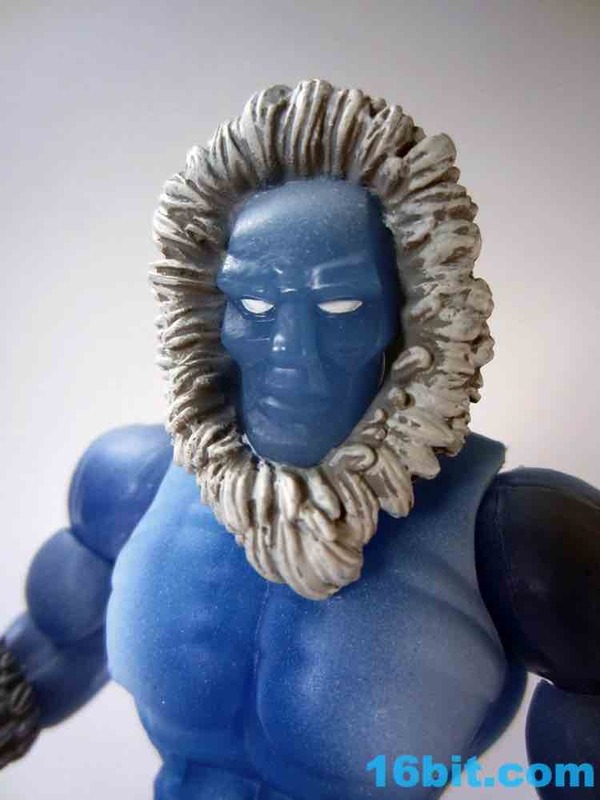 Icer's face is angular and looks like it may have been carved out of some frozen material, while also looking like the result of a really fun night between Popo, Nana, and Iceman. 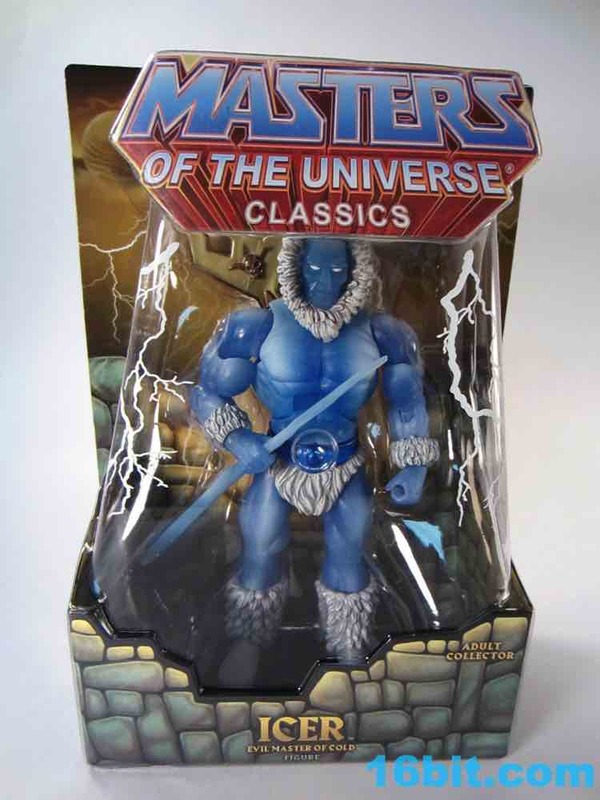 This is a figure you'll like more in your collection than you will in theory. 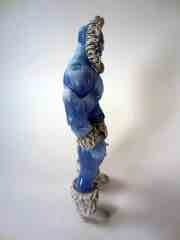 The idea of it is somewhat dull but the execution is certainly agreeable. 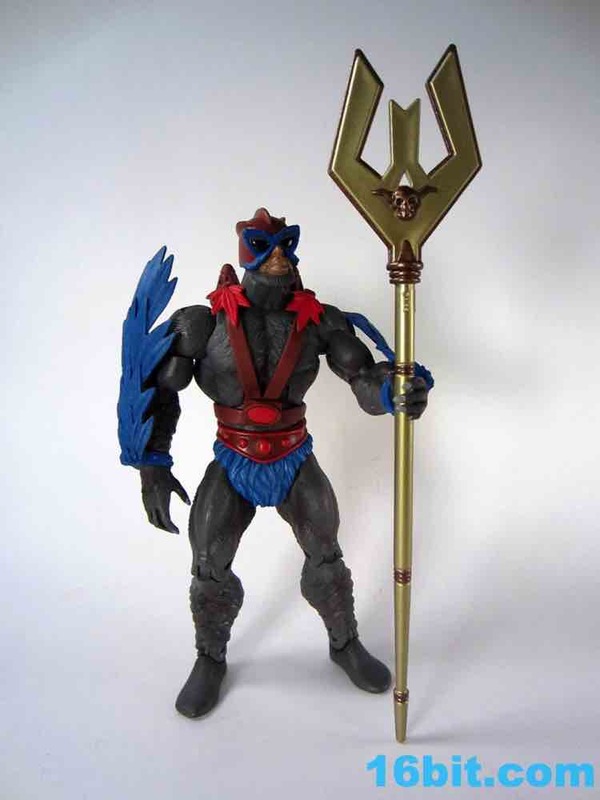 He has two accessories, and this is where it gets more interesting. 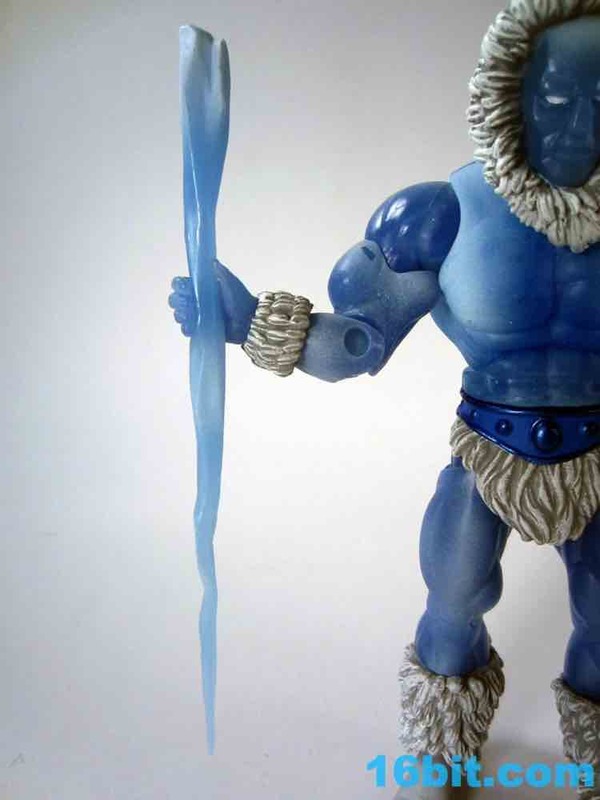 Not content to merely have an icicle club, which looks great and can be held easily, Mattel went the extra mile to include the Staff of Avion! 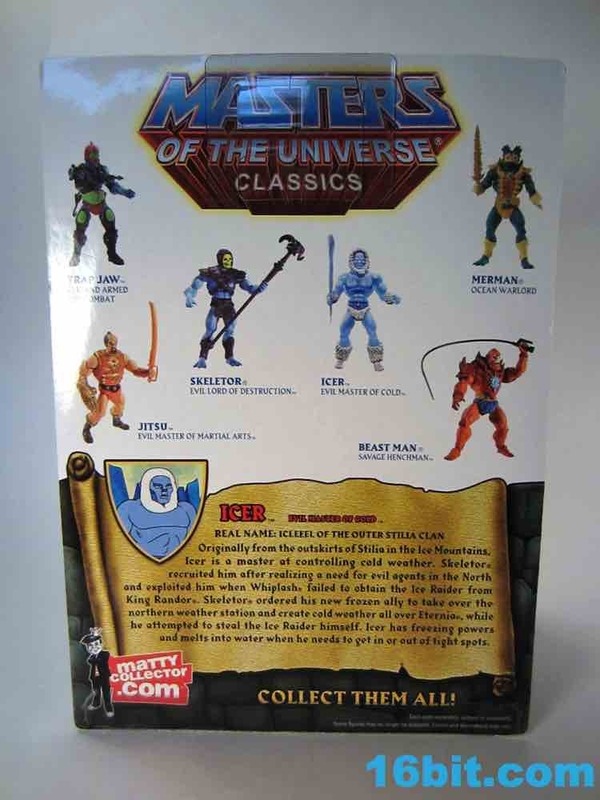 This is an artifact from Stratos' people, and has been something Mattel has alluded to having had an interest in producing over the years. 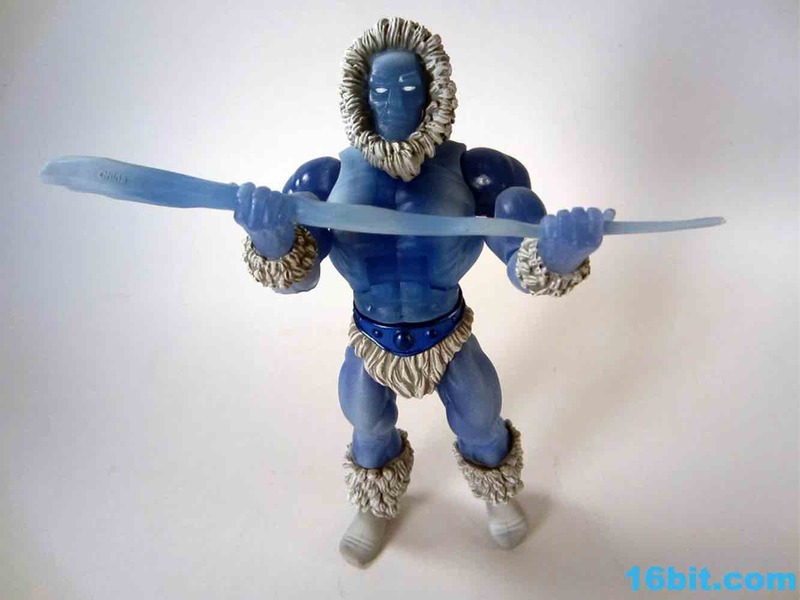 As an accessory familiar to fans of the cartoon, it makes sense to slot it in a figure like this one. 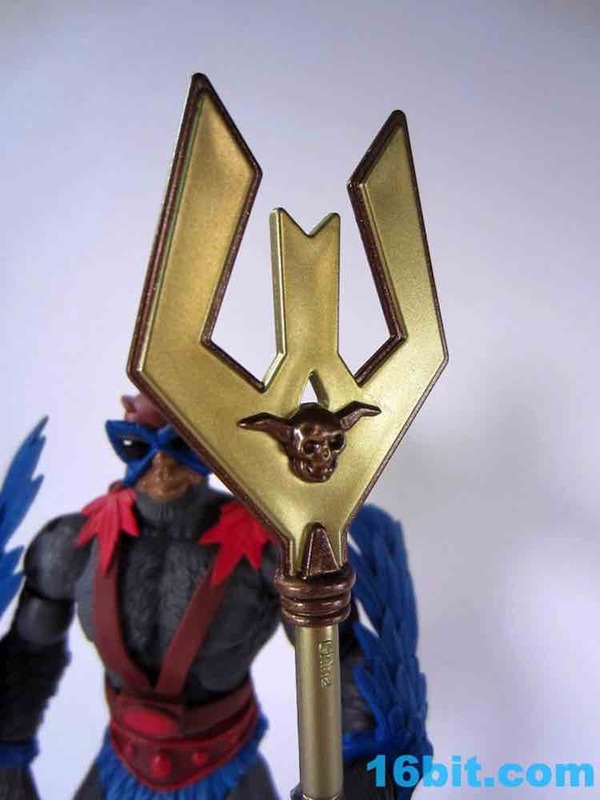 The staff detailing is great, with wonderful sculpting and just enough painted detail to make it an exciting addition to the set. I really loved the 30th Anniversary Sub-Subscription, with its creative ideas and unexpected surprises. 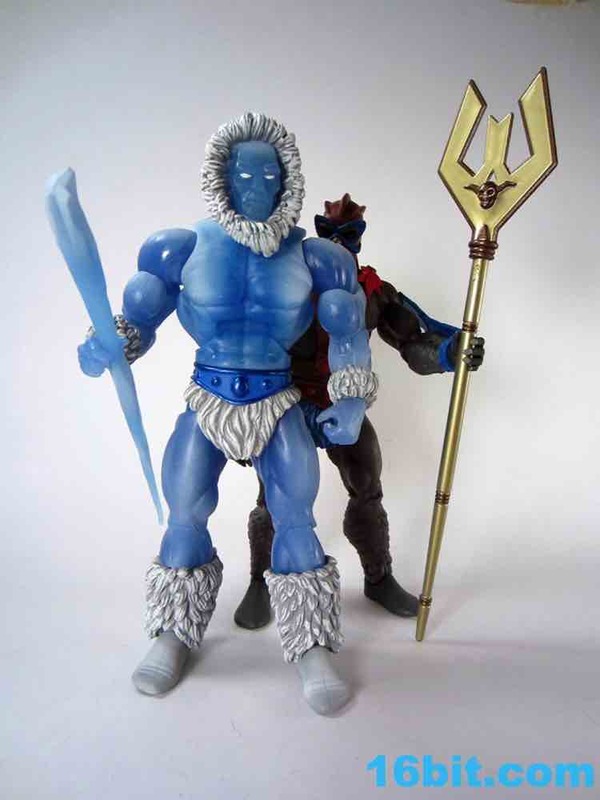 The Filmation subscription (which includes Shokoti, Batros, Nepthyu, Seahawk, and Strongarm/Strong-Or) is a little less exciting but I'm sure it might just be from my not being someone who has been the biggest fan of the Filmation show. 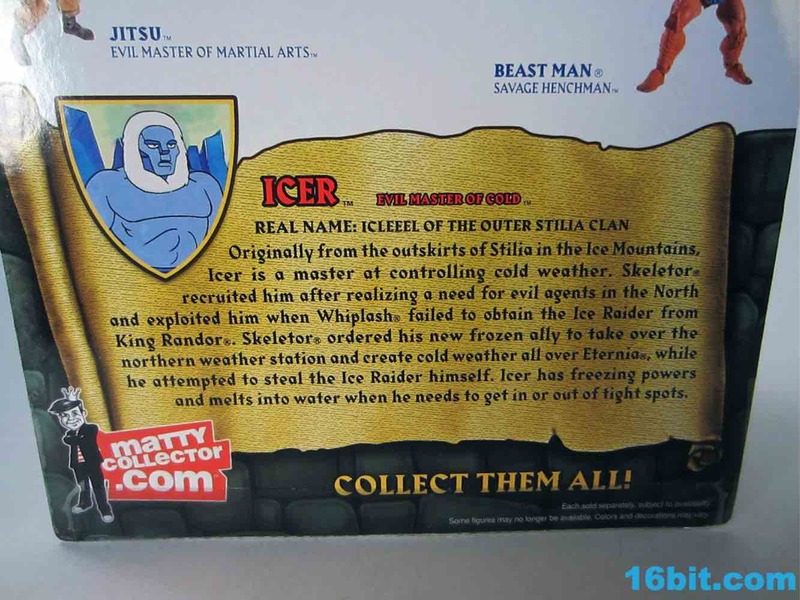 Icer shows that Mattel and the Four Horsemen will make even a simple idea into a pretty good figure, so if you need another man of ice in your toy box this may be just the thing for you.